Since her award-winning debut, Because of Winn-Dixie in 2001, Kate DiCamillo has consistently delivered children thoughtful and imaginative stories. Her eagerly awaited new book Louisiana’s Way Home returns, for the first time ever to the characters of a previous book, Raymie Nightingale and continues the story of Louisiana Elefante. However, if you haven’t read Raymie Nightingale, don’t be deterred, Louisiana’s Way Home can easily be enjoyed as a stand-alone book. There is drama from the outset as Louisiana finds herself being rushed out the door in the middle of the night by Granny, who insists that her safety depends upon fleeing their home and taking off into the night. Since the death of Louisiana’s parents, the famous trapeze artists the Flying Elefantes, granny has taken care of Louisiana. After car trouble, a dental emergency and a lingering family curse, Louisiana and Granny land in a small town with a close-knit community. However, Louisiana is worried about being separated from her best friends, Raymie and Beverly, and who is looking after her cat? At their new temporary home, the Good Night Sleep Tight Motel, Louisiana starts to make new friends and when her entire life is turned upside down, it is these wonderfully warm and sometimes eccentric characters who come to the aid of Louisiana just in the nick of time. The most important of these, Burke Allen, spends his time climbing trees and the roof of the Good Night Sleep Tight. A petty thief with a heart of gold, he embraces Louisiana and brings her into his family circle. 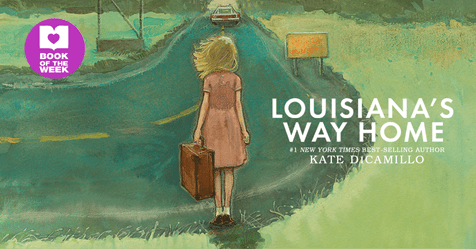 Louisiana’s Way Home looks at identity, family, friends and explores ideas about home and belonging. The story is filled with colourful characters – both good and bad – that unexpectedly reveal more to Louisiana about herself and her origins than she would ever have discovered at home. Many interesting ideas are introduced, with a few unanswered questions allowing readers to fill in the missing pieces. 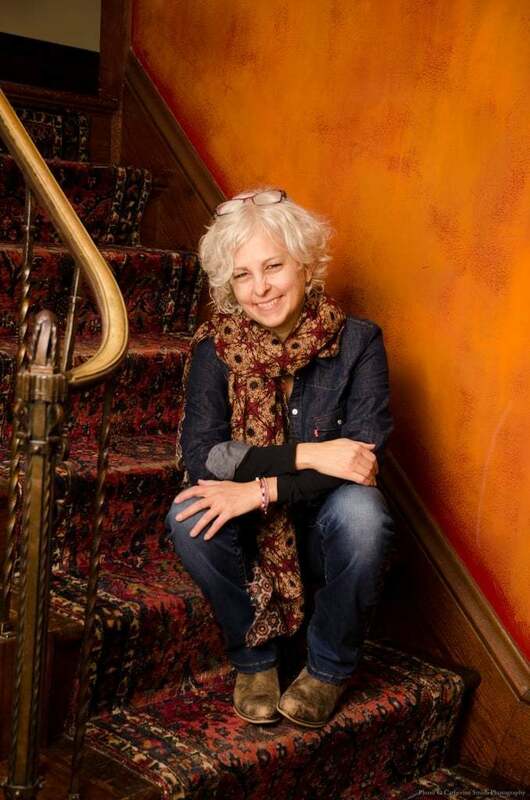 Louisiana’s Way Home is a whimsical tale of self-discovery which will be much enjoyed by 10+ booklovers – and their parents – and proves yet again: you can’t go wrong with a Kate DiCamillo.